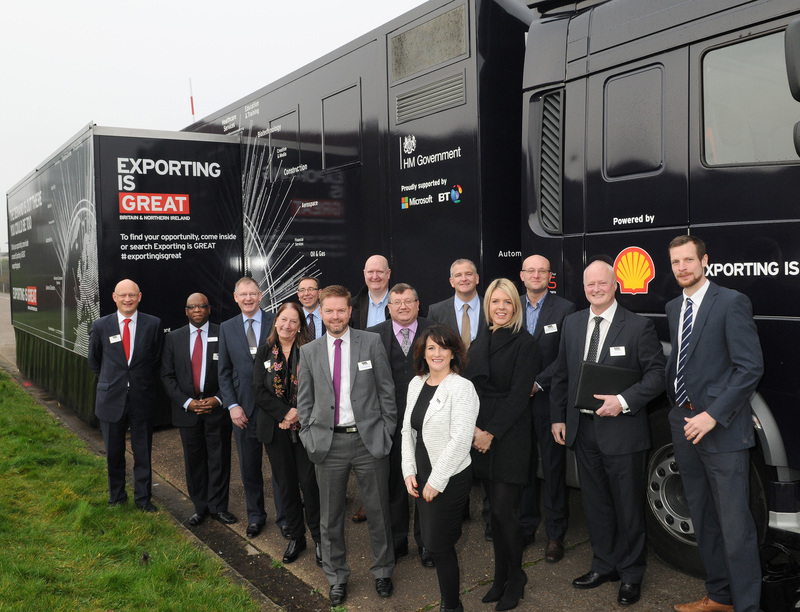 As part of the Exporting is GREAT campaign, the University of Lincoln hosted the Export Hub roadshow as it toured the East Midlands. The Exporting is GREAT truck was located on Green Lane behind the Think Tank , it brought together a range of advice and practical guidance on how you can find customers overseas for your products and services. The truck provided a flexible workspace including a Skype room connecting you to a network of overseas advisors, you were able to talk through the complexities of how to engage in different export markets. Seminars ran throughout the day in the truck and with limited availability spaces had to be booked.